Staff members attend required certification seminars to keep current with the changes in COBRA and other laws covering the benefits arena. 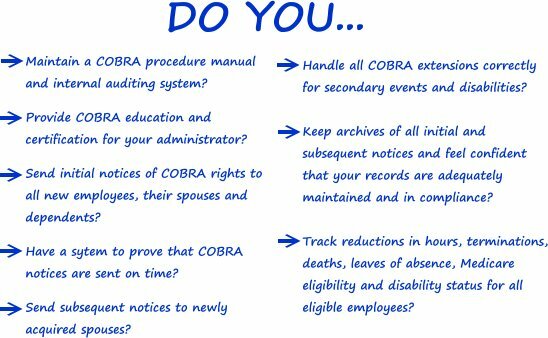 as on an as-needed basis to keep current with new laws and regulations affecting COBRA compliance. and we are active members in good standing of the Better Business Bureau.